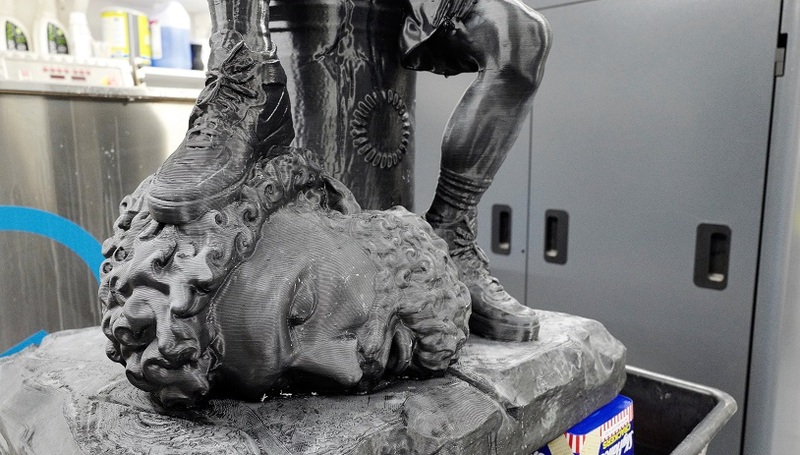 Working to a tight deadline, we 3D printed this large scale piece for artist and sculptor, Jam Sutton. The sculpture was part of the ‘On a Pedestal’ exhibition which debuted at Castletown House, before moving to Dublin Castle. ‘On a Pedestal’ brought together works from an international group of contemporary artists who explored the genre of the portrait bust in a variety of media: from wood to stone, from marble to ceramics, from stainless steel to more ephemeral materials such as sugar. 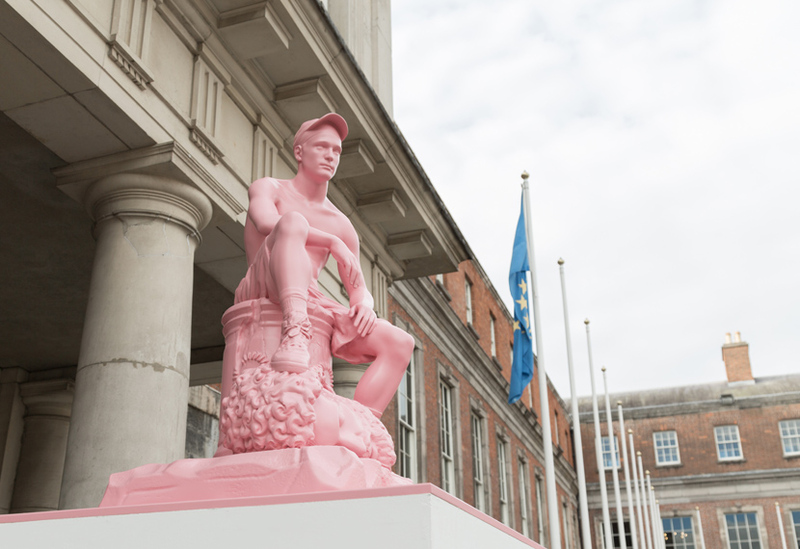 This piece was placed in the courtyard of Dublin Castle, guiding visitors to the main exhibition. 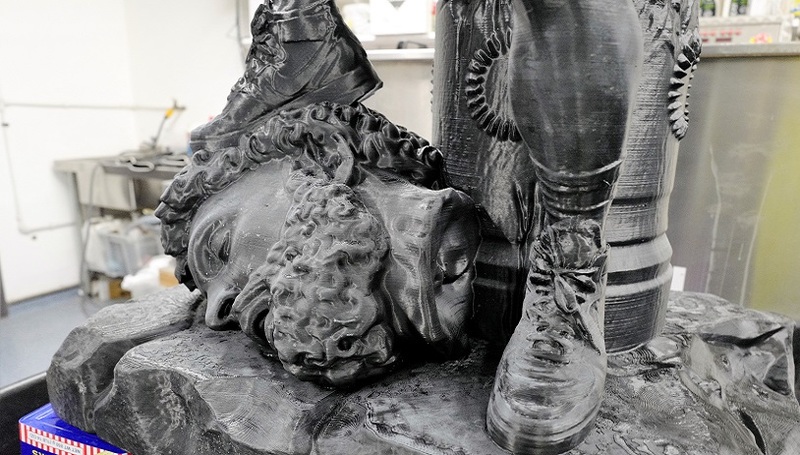 The printed replica is an enlarged copy of Jam’s original David & Goliath sculpture, which was formed from marble. 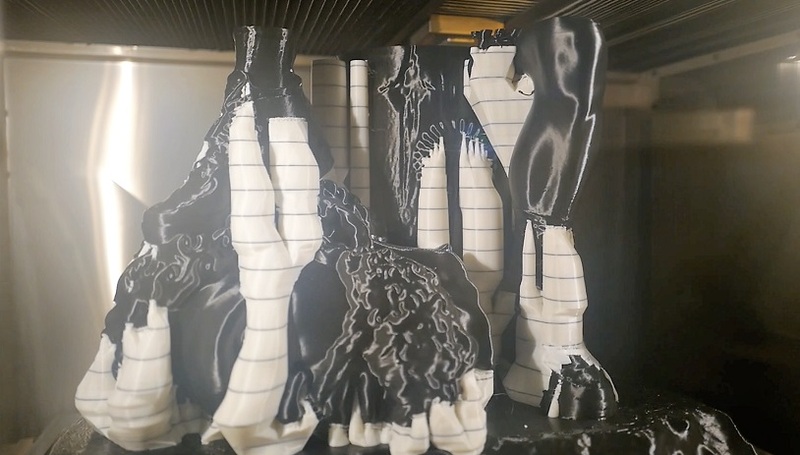 We printed the sculpture in three parts using our Stratasys Fortus 900mc which enabled us to achieve the high detail required but on a large scale whilst using a heavy duty, durable material suitable for the outdoor location. 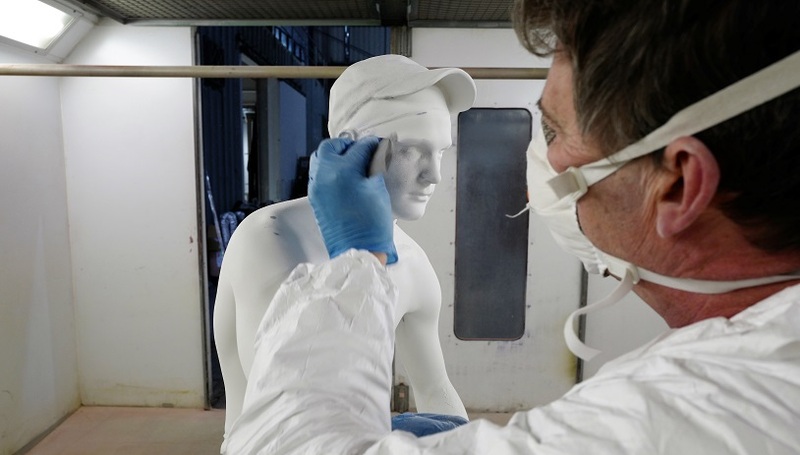 The sculpture took 258 hours to print using 15kg of material. 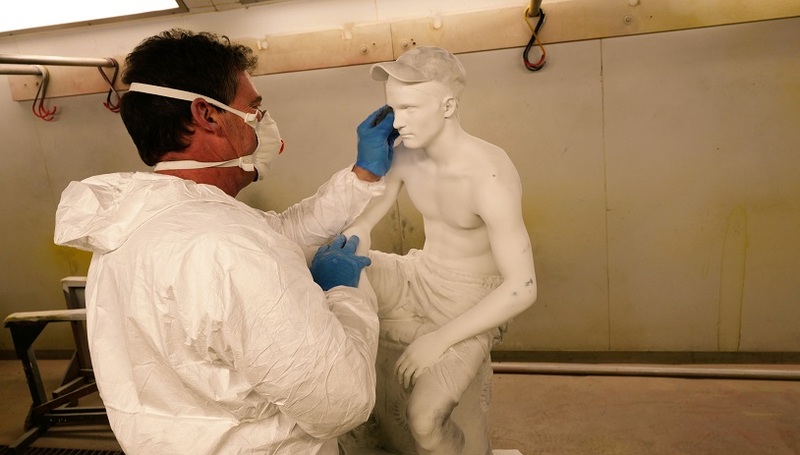 Once the print was complete, our finishing team sanded out any imperfections, primed, then finally sprayed the sculpture in bubble-gum pink, a signature colour often used by Jam in his artwork.